A neoclassical theater that has had more lives than a cat. This was called The Lyndale Theatre, The New Lyndale or just The Lyndale at various times. It was community-oriented; when most neighborhood theaters in Minneapolis raised admission prices in 1917, The Lyndale did not. It had a children’s program and the manager worked with local PTAs to choose appropriate movies. Throughout its use as a theater, it showed second- or third-run films. 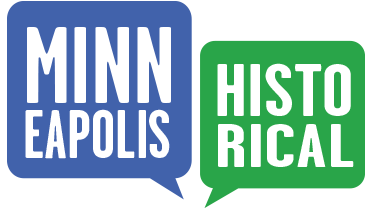 In 1931, after being closed for a year, likely due to the Great Depression, independent theater owner W.R. Frank purchased and reopened The Lyndale. Its last use as a theater was in 1954; its closure at that point was probably due to the rise of television. Since then, the building has had many uses and has at times been empty. 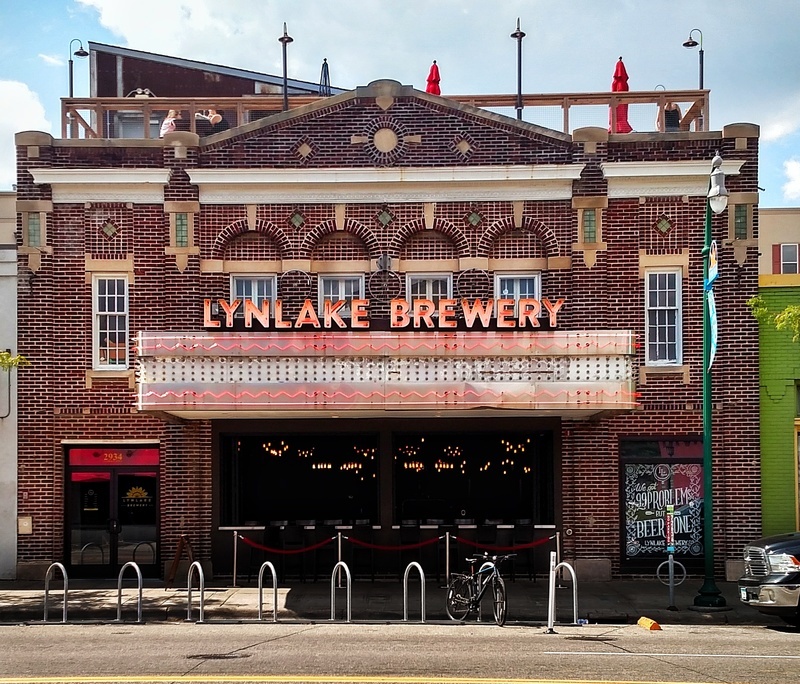 It became the LynLake Brewery in 2015. Despite these many changes, the façade retains its Renaissance Revival style, which is characterized by its symmetrical design. Most of the original decorative elements are intact, including a classical pediment with white stone entablature, Kasota stone lintels and sills, and green tile accents. The interior, on the other hand, has been remodeled numerous times and retains none of its original look. Based on evidence from a building inspection record, the marquee was either replaced or remodeled in 1948. Edited by Richard L. Kronick, “Lyndale Theater,” Minneapolis Historical, accessed April 22, 2019, http://minneapolishistorical.org/items/show/139.